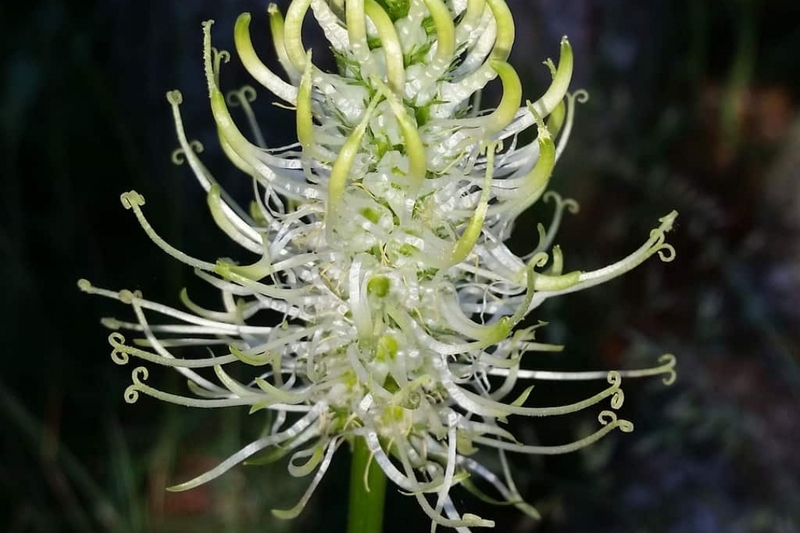 Rampion (Phyteuma spicatum): growing, planting, caring. Creamy-white flowers in tall spikes ! Phyteuma spicatum - Rampion or Spiked Rampion is a herbaceous perennial plant in the family Campanulacea, common across much of Europe. Spiked Rampion has creamy-white flowers which grow in tall spikes from May to June, less than a metre tall. Its leaves are basal, blade shaped with a toothed margin. Although common in France, Spiked Rampion is very rare in the UK where it is on the red list for being an endangered species. The leaves, roots, and flowers are edible, and can be eaten raw. To sow the phyteuma you must have a sunny location and a drained soil, rather rich. Sow in spring or fall, mix the seeds with sand for easy handling, and ballasting them. Sow on a line or broadcast the seeds? Sow according to the desired result, whether for ornament or consumption. Cover with fine soil, then drizzle gently. When the seedlings reach about ten centimeters, thin them to keep only one every 25 cm. Water until planting every other day. Then, the phyteuma will manage itself. Between October and March the roots can be harvested because they are full of winter reserves. Dig them up with a pitchfork depending on your needs. They can be kept for a few weeks. You can pick the leaves as long as there are some, just like the flowers. New floral stalks not yet flowering are consumed as asparagus in May.